The movie underwent a second screening and the new MTRCB panel gave it an R-18 without cuts rating. 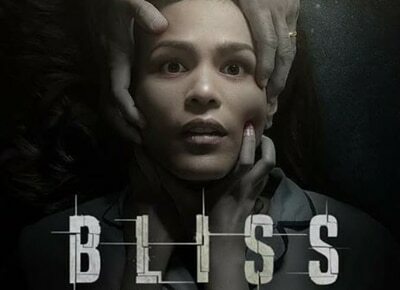 Good news sa local film enthusiasts dahil maipapalabas na commercially sa May10 sa mga sinehan ang "Bliss" na pinagbibidahan ni Iza Calzado. Ito ang pelikula kung saan siya nanalong Best Performer sa 2017 Osaka Film Festival sa Japan. Matatandaan na X ang unang ibinigay na rating sa unang review nito sa Movie and Television Review and Classification Board (MTRCB) kayat hindi naitago ni Iza ang kanyang saloobin dito. Ngayon matapos dumaan sa second review ay nagkaroon ng reclassification at R18 without cuts na ang rating nito. "This just in. The new MTRCB panel composed of Direk Joey Romero, Bibeth Orteza, Gladys Reyes, Consoliza Laguardia and Atty. Ogie Jaro reversed the earlier classification and gave the film Bliss a unanimous R-18 Without Cuts. "Thank you Direk Bibeth for giving it an R-16. So, mark your calendars - May 10, we will already experience Bliss. ?????? Also, Direk Jerrold may be preparing an R-16 version of the film to accommodate more audiences and more theaters. (So, we may have 2 versions of this very controversial film, depending on your age-level). "We'll keep you posted! See you in theaters. #Bliss #R18 #InCinemasMay10"